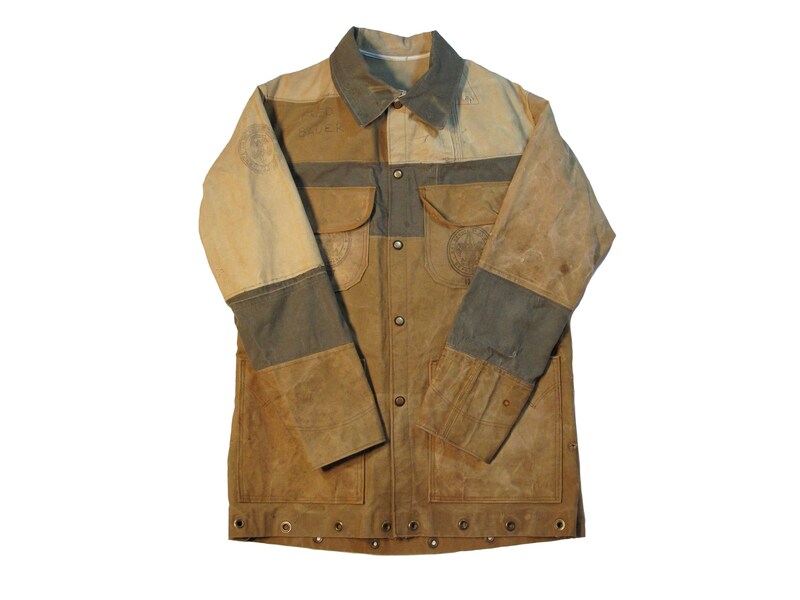 four vintage boy scouts canvas ruck sacks were disassembled and laid out to make this chore jacket. laid out in a rough stripe pattern. four pocket front featuring the BSA logo on the two chest pockets. 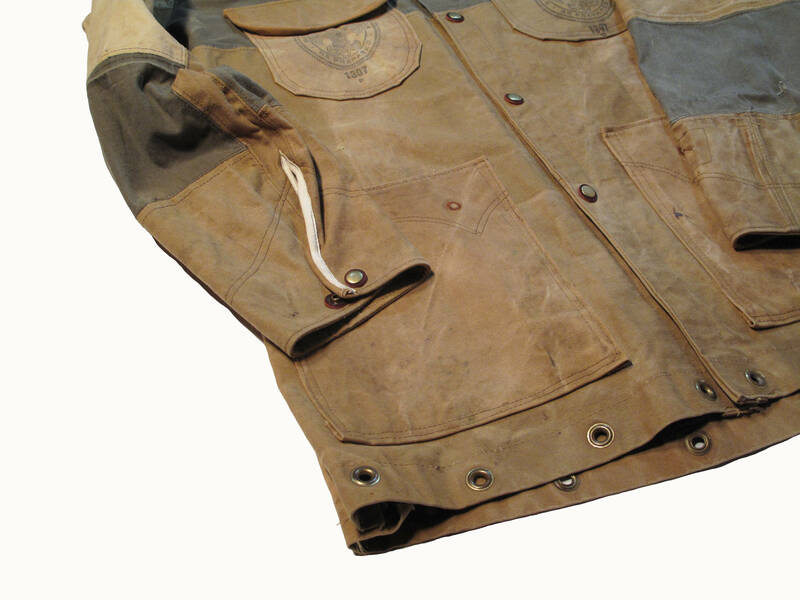 bottom pockets have a western detail on the reinforcement. cuffs are reinforced and snap adjustable. 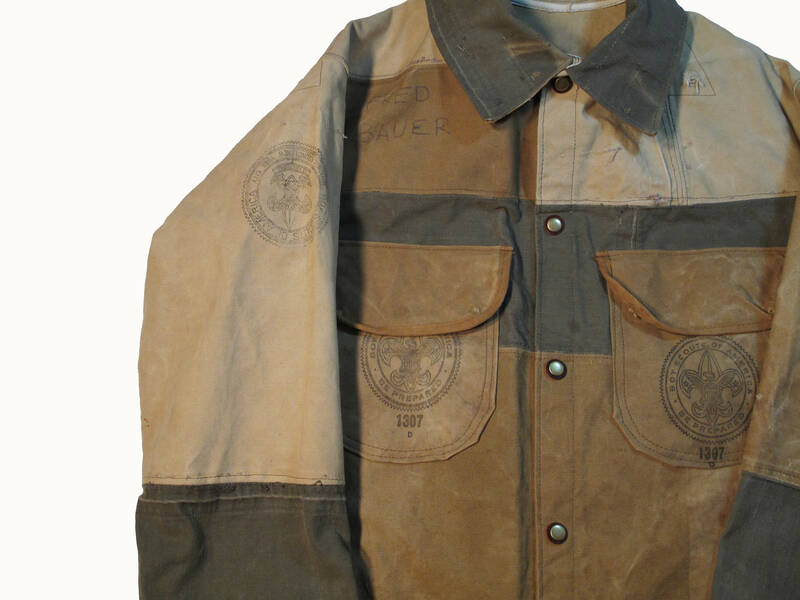 a third BSA logo on the left sleeve. 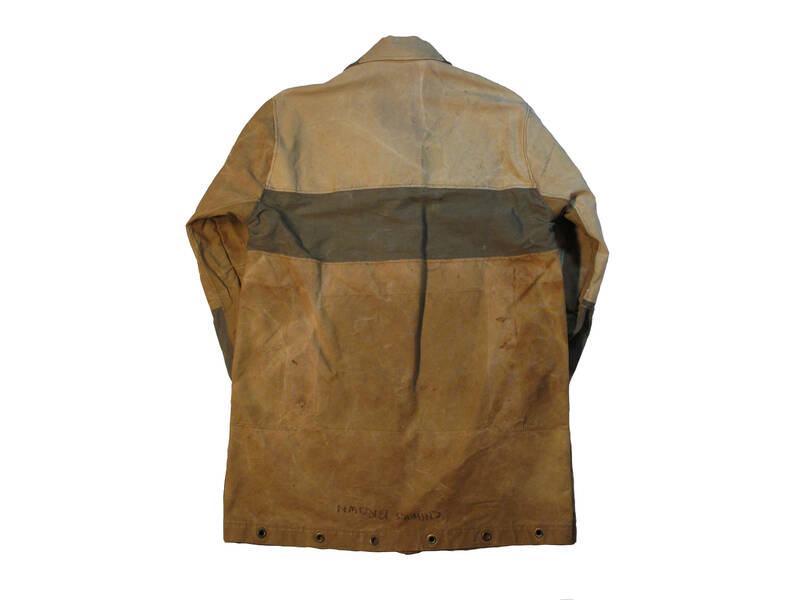 several names of owners of the ruck sacks have been written on the canvas in pen or marker and are present. snap front. 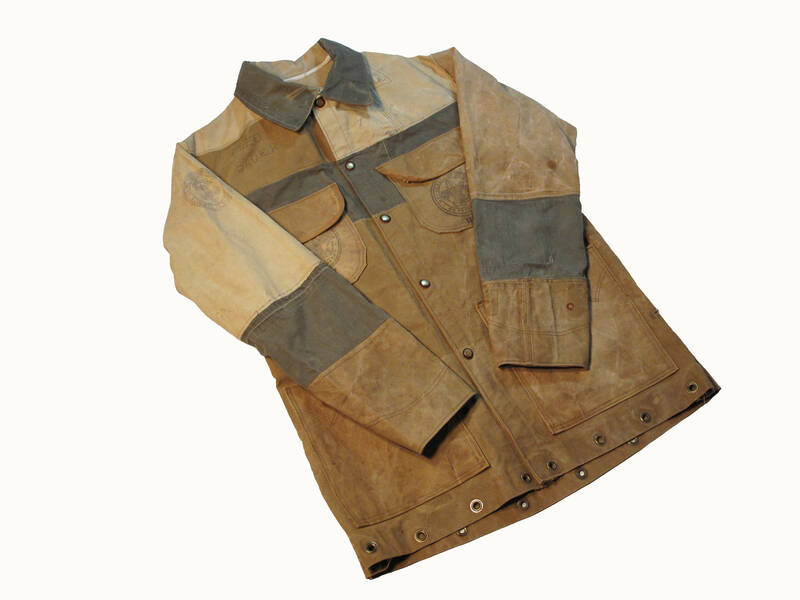 snaps are reinforced with leather spots. lots of repairs to add to the aesthetic. fits like a mens XL.